Original 1930s-'40s Era Three Early Felt Pennants Hollywood California -- Free US Shipping! 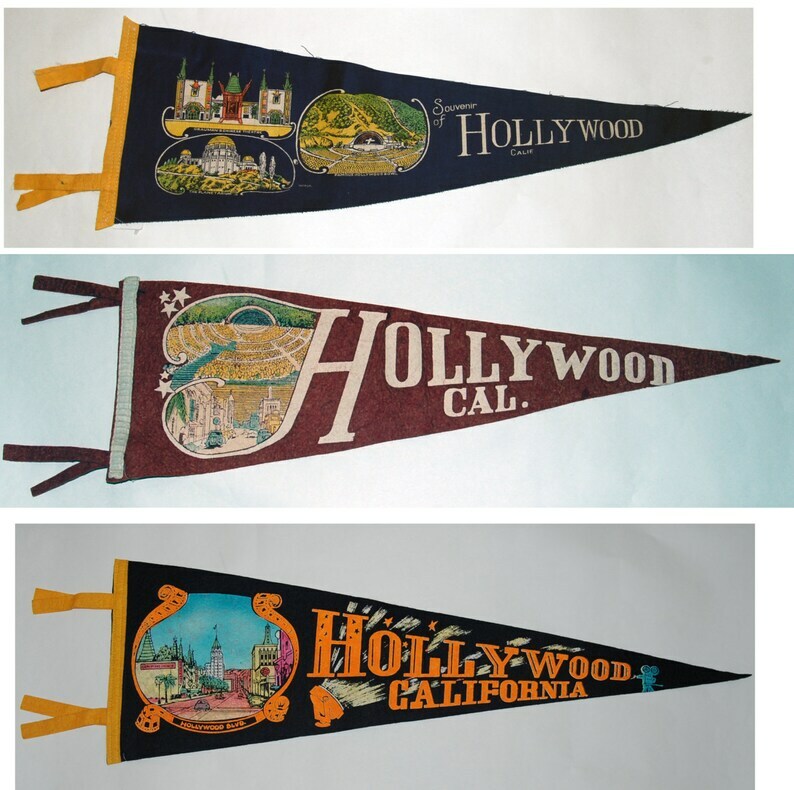 Dating from the 1930s-'40s, these three early felt pennant for Hollywood are being sold separately at $75 each. * pennants are shipped rolled or with a loose fold; a light steaming or ironing to the reverse with a press cloth should remove creases. Do not display in direct sunlight. 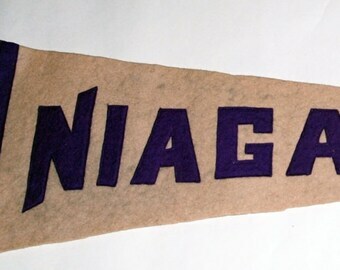 Original 1920s-'30s Era Sewn Letters Felt Pennant for Niagara -- Free US Shipping! 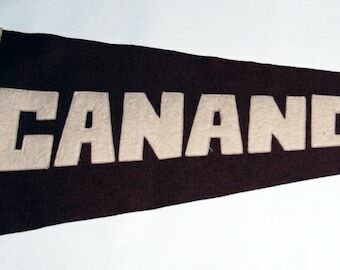 Original 1920s-'30s Era Sewn Letters Felt Pennant for Gananoque, Canada -- Free Shipping! Original 1920s-'30s Era Felt Pennant for London, Ontario, Canada -- Free US Shipping! 1950s-'60s era Felt Pennant Souvenir of Long Beach California -- Free USA Shipping! Original 1930s Era Felt Pennant New Chicago Zoo at Brookfield -- Free US Shipping! Original 1920s Era Sewn Letters Felt Pennant Souvenir of Harvard -- Free USA Shipping! Original 1930-‘50s Era Sterling Silver SWANK Collar Bar-- Free US Shipping! Original 1920s Era Souvenir Felt Pennant Sewn Letters for St. Hilda's College, University of Toronto -- Free US Shipping! Original 1950s Era Sterling Silver Hat and Crop Pin -- Free USA Shipping! Original 1930s Era Felt Pennant Callander Ontario Dionne Quintuplets — Free USA Shipping! 1940s-’50s era Hollywood Ice Revue Felt Pennant — Free US Shipping! 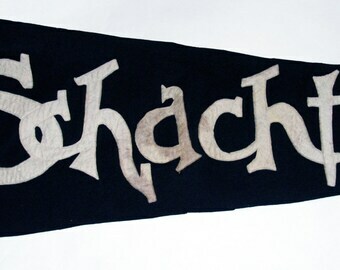 Original Early 1900s Era Felt Pennant for SCHACHT -- Free USA Shipping! 1950s era Souvenir Crookston Minnesota Felt Pennant — Free US bShipping! 1950s-'60s era felt pennant souvenir of Washington's Mansion Mt Vernon VA — Free USA Shipping!